“Clever Cover Ups was created in 1992 when I turned a hobby into a full blown business! Having grown up with creative parents (my father with drawing, design and woodworking, and my mother with sewing, fashion design and pattern making) it was a natural thing for me to follow suit. At the age of 5 I was given my first sewing machine and at the age of 10, my father gave me my first skill saw as a birthday gift! So by the age of 12, I not only sewed my entire wardrobe, but could build the closet to house it all,” exclaims Lori Leon, founder of Clever Cover Ups in Pittsburg, California. 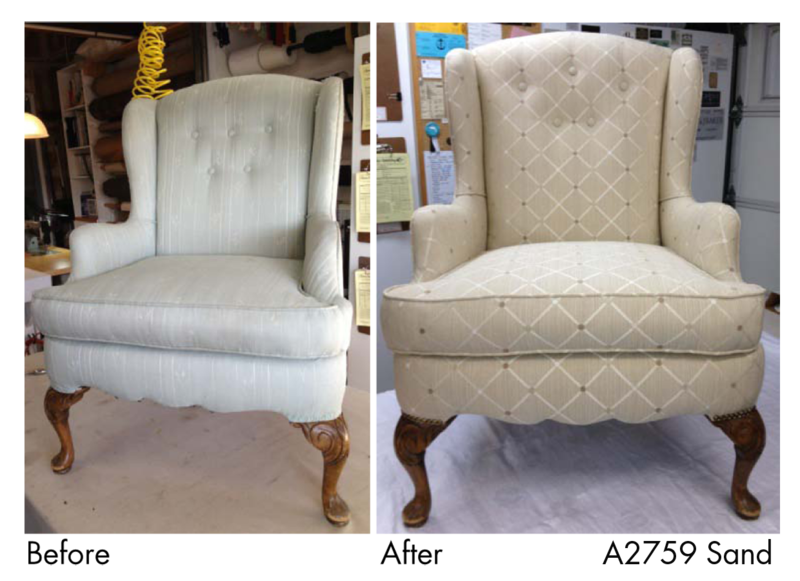 Upholstery became a hobby for her parents, but to Lori, it became her passion. “In 1985 I went to work for a local auto upholstery shop, but after 7 years I realized that I enjoyed the furniture more than the automotive. So I left the job and began working on furniture part time while working a full time retail job. In 1992 I decided to turn my hobby into a real business, and I've never regretted it,” Lori enthusiastically states. Clever Cover Ups has worked with Greenhouse Fabrics for fifteen years on projects such as draperies, window treatments, custom built furniture, headboards, re-upholstery, and bedding! In addition to this, Lori offers accessories and design consultations for paint, fabric, and furniture placement. “I love helping Lori on special projects for her customers. I especially enjoy finding fabrics for her that seem impossible to locate,” expresses Tiffany, Lori’s Customer and Fabric Specialist from Greenhouse Fabrics. Do you enjoy working with your Customer & Fabric Specialist on projects?...Send us your story!